Digital version of some upcoming Typografika Nuevo. Above: A wee new poster (18×24) I just made for Flashbelt founder and producer Dave Schroeder, pilotvibe. The photographic element is a treated version of Jeremy Thorp’s Just Landed. The posters are going into production, look for more info and adaptations soon. It was an honor working with Dave and this year’s conference promises to be an exciting gathering, featuring speaker’s like Jared Tarbell. 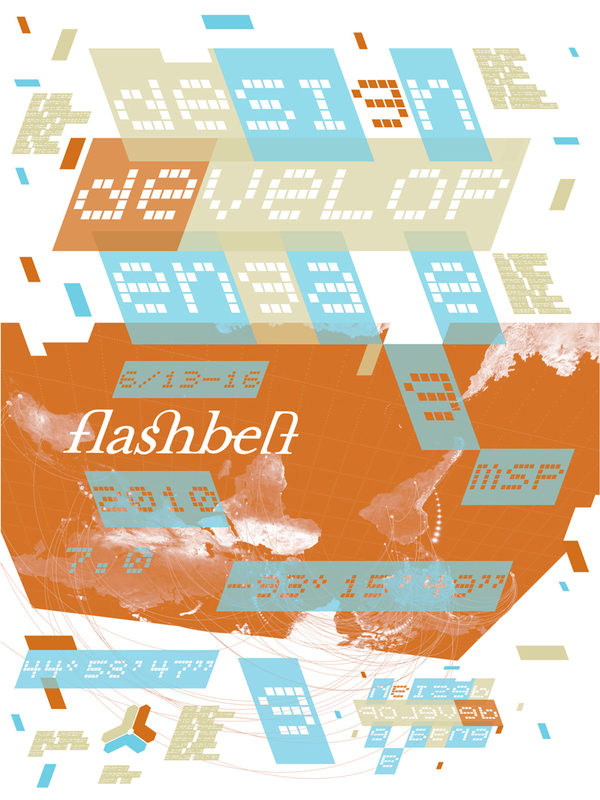 For more info on the conference (June 13-16,2010), follow Flashbelt updates on Facebook and Twitter. Please see more Typografika here. Dave Schroeder / iPhone photographs. Dope. Totally an Erik Brandt poster. I <3 it. This entry was posted by Erik Brandt on Tuesday, May 25th, 2010 at 2:04 PM	and is filed under Aktuell, Education, Geotypografika, Graphic Design, International, Internet, Minneapolis, Musica Viva, News Links, Sci-Fi, Typografika, Typography.